• In 1977, Marie M. Fortune founded FaithTrust Institute to mobilize faith communities to address sexual and domestic violence. • In 1977, Jeanette Stokes founded the Resource Center for Women and Ministry in the South (RCWMS) to support women in and entering ministry and to weave feminism and spirituality into a vision of justice for the world. • In 1983, Mary E. Hunt and Diann L. Neu founded the Women’s Alliance for Theology, Ethics and Ritual (WATER) in response to the need for theological, ethical, and liturgical development for and by women. Together, these modest non-profit organizations have logged more than a century of progressive feminist work for justice. These colleagues will reflect on their founding visions, their struggles and challenges to keep small, stalwart organizations flourishing, and their strategies to create new platforms necessary to extend and expand this justice work. Join in the conversation that is sure to be lively—with tales of shared history, common concerns, and that spark that makes entrepreneurs create and sustain their efforts! 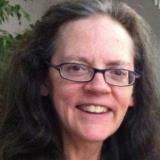 Marie M. Fortune is senior analyst at FaithTrust Institute. Ordained in the United Church of Christ, she is a pastor, educator, author, and theologian. Her books include: Keeping the Faith: Guidance for Christian Women Facing Abuse, Sexual Violence: The Sin Revisited, and Is Nothing Sacred? From 2000-2008, she was editor of The Journal of Religion and Abuse. Jeanette Stokes is executive director for RCWMS. She is an ordained Presbyterian minister and has led workshops on women, spirituality, creativity, and justice. She is the author of Hurricane Season: Living Through a Broken Heart, a memoir about recovering from divorce, and two collections of essays: 25 Years in the Garden and 35 Years on the Path. 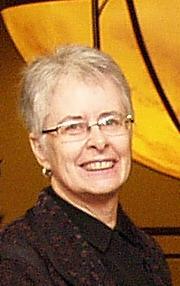 Mary E. Hunt is co-director of WATER. A Catholic active in the women-church movement, she lectures and writes on theology and ethics with particular attention to liberation issues. She is the editor of A Guide for Women in Religion: Making Your Way from A to Z and co-editor with Diann L. Neu ofNew Feminist Christianity: Many Voices, Many Views. 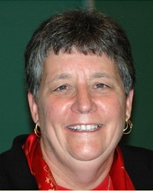 Diann L. Neu is co-director of WATER. A feminist minister and psychotherapist, she specializes in ritual planning, retreats, counseling, and spiritual direction. She is the author of Women’s Rites: Feminist Liturgies for Life’s Journey; Return Blessings: Ecofeminist Liturgies Renewing the Earth; and Seasons of Healing: Prayers and Rituals, Journaling and Resources for Women with Cancer. Email “Register Me Teleconference” to waterstaff@waterwomensalliance.org by Tuesday, May 21st in order to receive dial-in information. April 16 Pope Francis and the American Sisters by Mary E. Hunt May 13 Congratulations, Clarafrancie Cromer!